Hello all my gaming friends out there and lovers of all things new, I have the privilege of bring you yet another video card review. 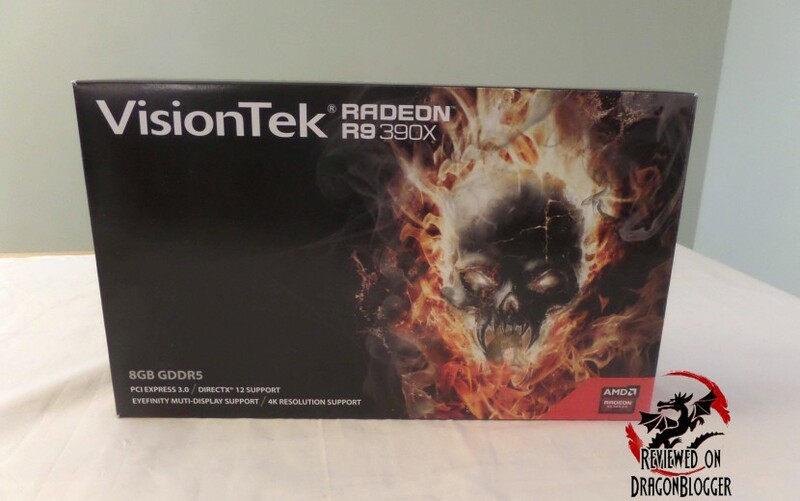 Today it will be a review of the Visiontek Radeon 390X, AMD’s latest gen GPU complete with a little of the old and lots of the new. 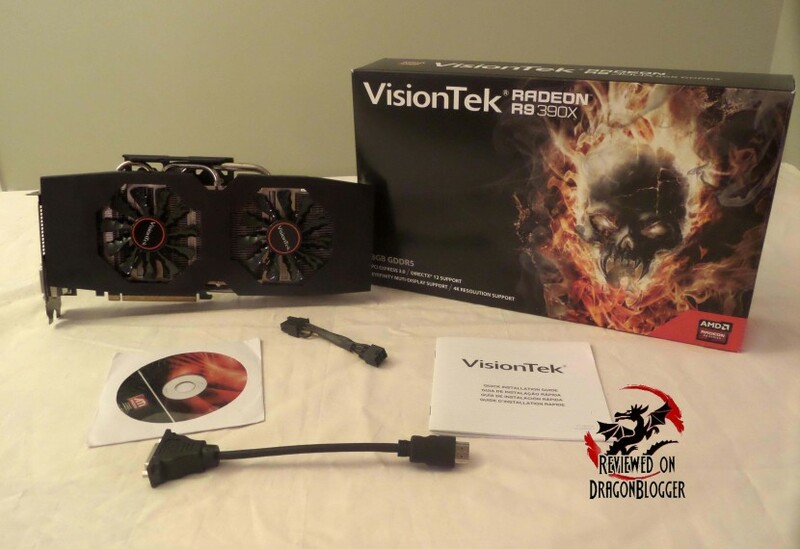 Visiontek being one of AMD’s premiere board partners surely will do it right, but let’s see what it can do. Let’s see what they have in store for us spec wise. 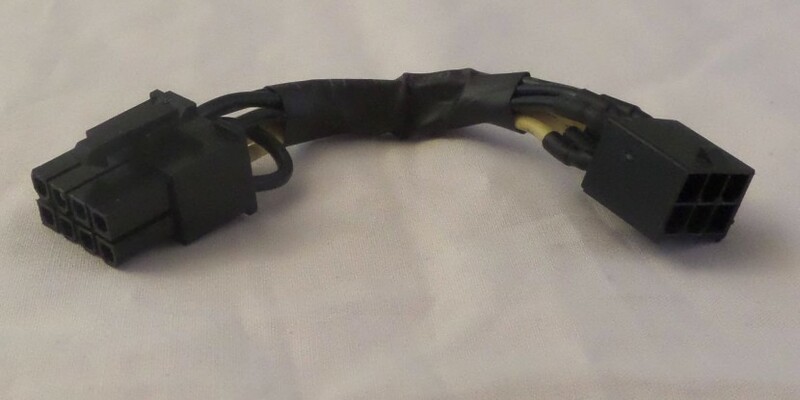 For those of you that might have a power supply that does not have a x 8 PCI-E power connection, but tons of 6 PIN connections available, Visiontek includes a 6 Pin to 8 Pin converter, this can really come in handy and not available by many manufactures. Here are the available connections on the card. 1 x HDMI, 1 x DisplayPort and 2 x DVI connections ( both DVI-D). Here are the power connections. You will need an 8 Pin PCIE power connection and a 6 Pin PCIE power connection for this bad boy. 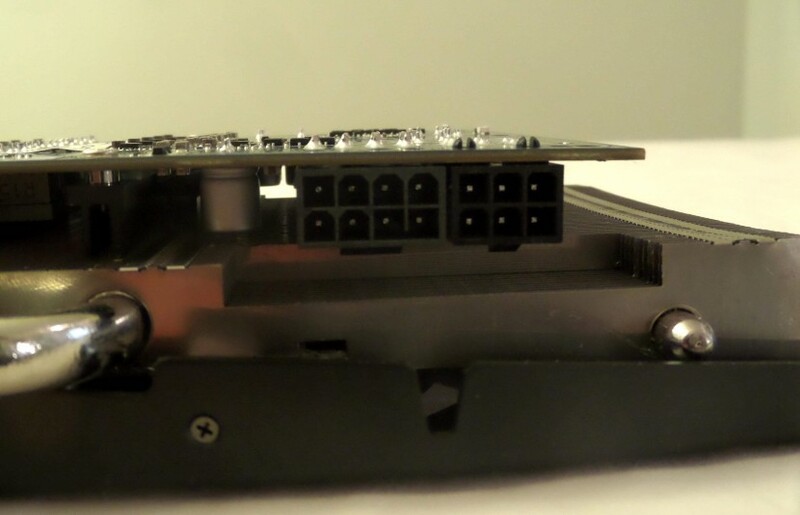 Remember, if you don’t have enough or any 8Pin connection, but have at least 2 x 6Pin connections, Visiontek does include a 6Pin to 8Pin adapter. And here she is in all her 13.6 inch glory. This is a relatively large card, so make you have at least 13.6 inches of space inside of your case for this card. For those of you that may not know how to install or upgrade a video card, or a little overwhelmed at the process or maybe just want to learn a few pointers, check out a video I created on how to install or upgrade to this card. I also show you in this video how to use that 6 to 8Pin adapter. Now that the card is installed, let’s check out how she runs and there will be more surprises along this review, but you have to stay tuned. 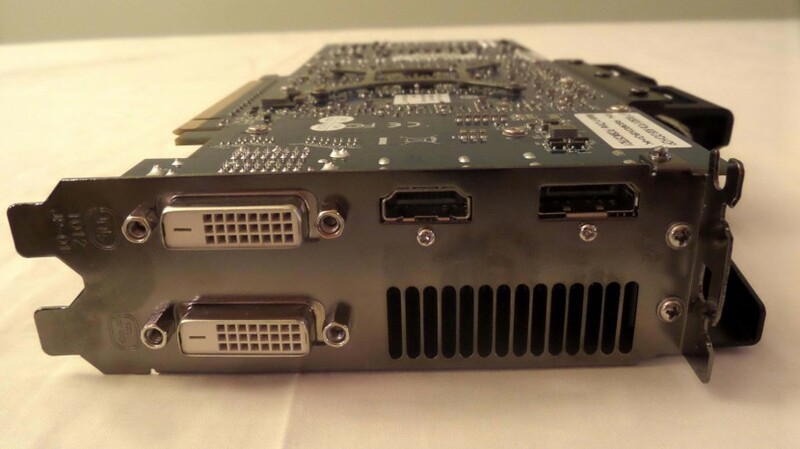 GPU-Z reveals that it is a Hawaii based GPU, released gate being October 24th, 2013, but wait isn’t this a new GPU? Partially, it is a newer product with some newer specs, which lends itself to a potentially more efficient GCN architecture than Hawaii providing higher memory bandwidth and better power management. Another thing to notice is that the stock advertised speeds are 1050MHz; this one reads 1070MHz, an added bonus. What does this mean, for you and me, well better scores and a better gaming experience, but let’s find out how through some benchmarks. 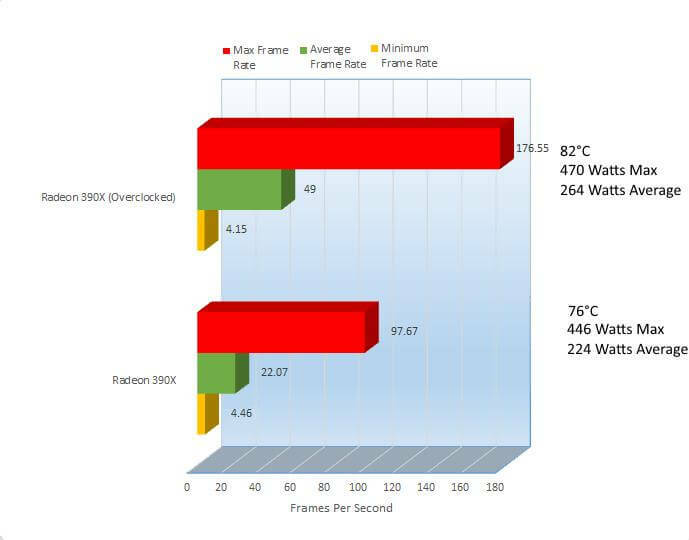 The benchmarks being used in this review are 3DMark Firestrike, Metro Last Light, Tomb Raider and Thief. Let’s start off the benchmarking with 3DMark. A great way to bring in the reviews, the highest 3DMark stock score I have seen. Comparing it with the other systems, I see that the score is better than 91% of all other results, that’s pretty darn close to 100% and I like it. 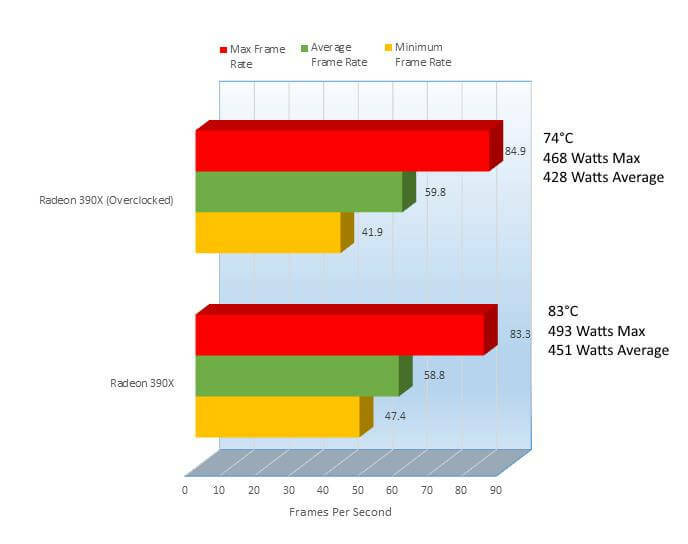 Now it did take a max of 408 Watts to run this benchmark, though a 187 watt average is very acceptable. 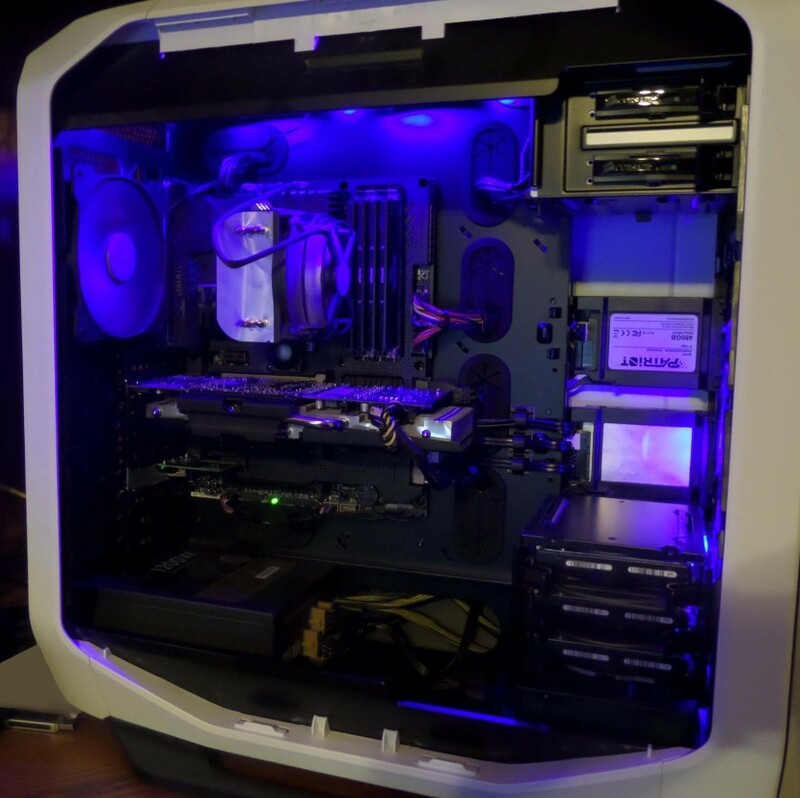 Make sure your case is properly cooled as well; the 67°C can be a little toasty but still a decent temp. Up next we have Metro Last Light, let’s see if Vistiontek can keep up the pace. 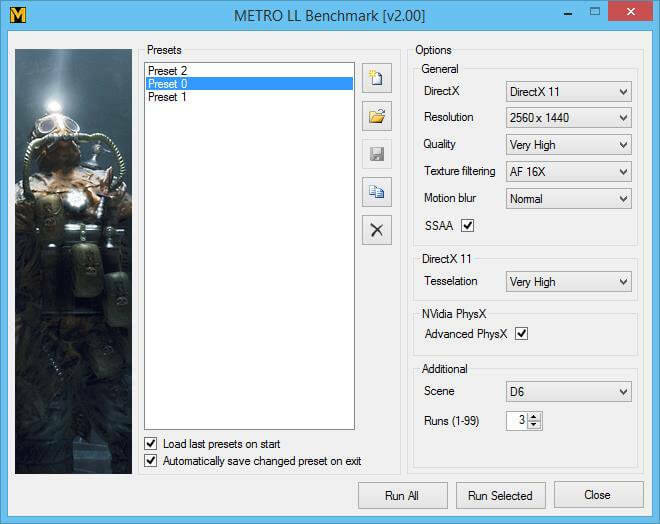 For Metro Last Light I run all of the same presets changing only the resolution, but here is what they are. Metro Last Light is known to torture the best of the best video cards and it seems like that holds true even this far up the ladder. The progression up from 1280 till 2560 looked decently, but it looks like 1920 x 1080 tripped up a bit, might have been a fluke. 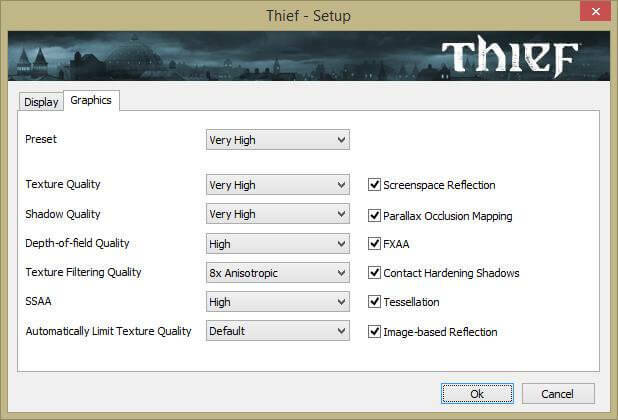 Let’s see what Thief has in store for us. 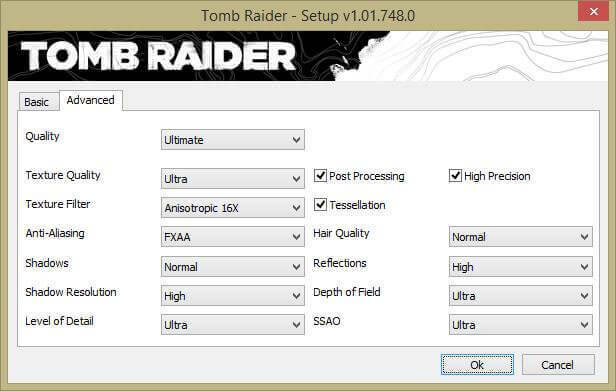 For Thief, Tomb Raider and GTA V, I kept the benching strategies alike, changing only the resolution. 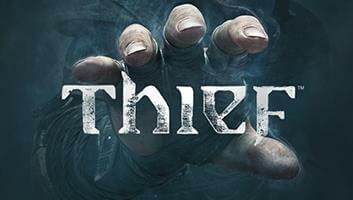 Thief performed amazingly well, though it is an older game so as well it should but it can chug on some of the latest cards so it is still a decent benchmark. And finally, we are left with Laura’s warm embrace. 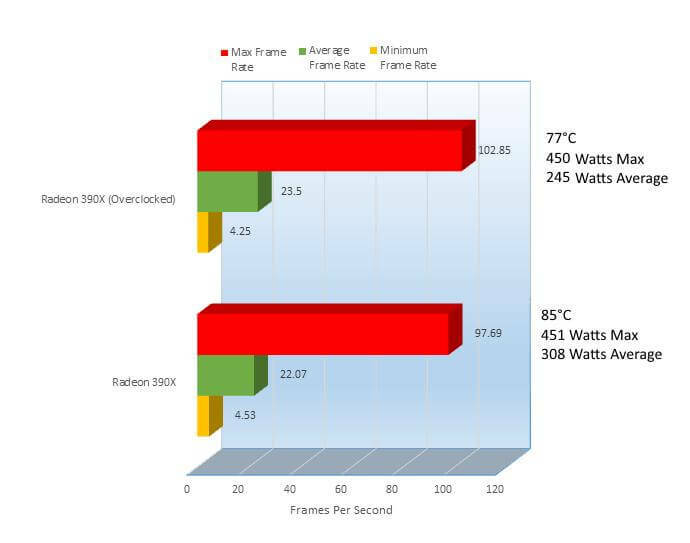 The 390X brings us a new level of performance in Tomb Raider, at least in my previous reviews. 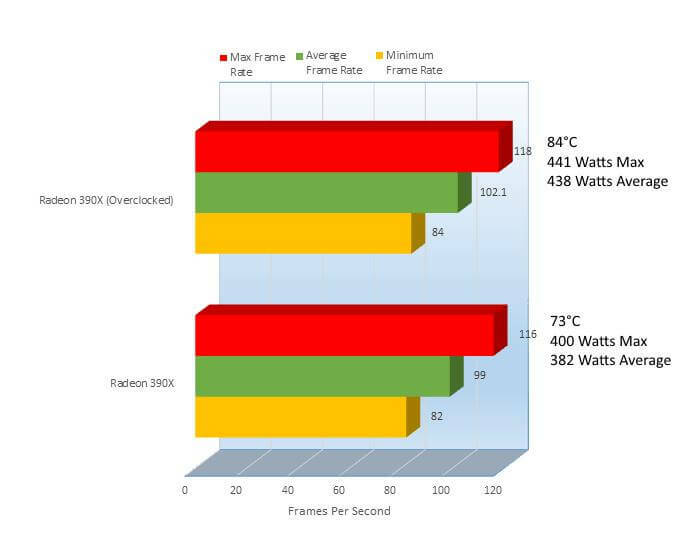 The 390X tore up the reviews here with a new Max of 248 FPS in 1280 x 1024. In my preferred resolution of 2560 x 1440 (that’s all my monitor can handle) she still impresses with an average and again the result score of 99FPS. 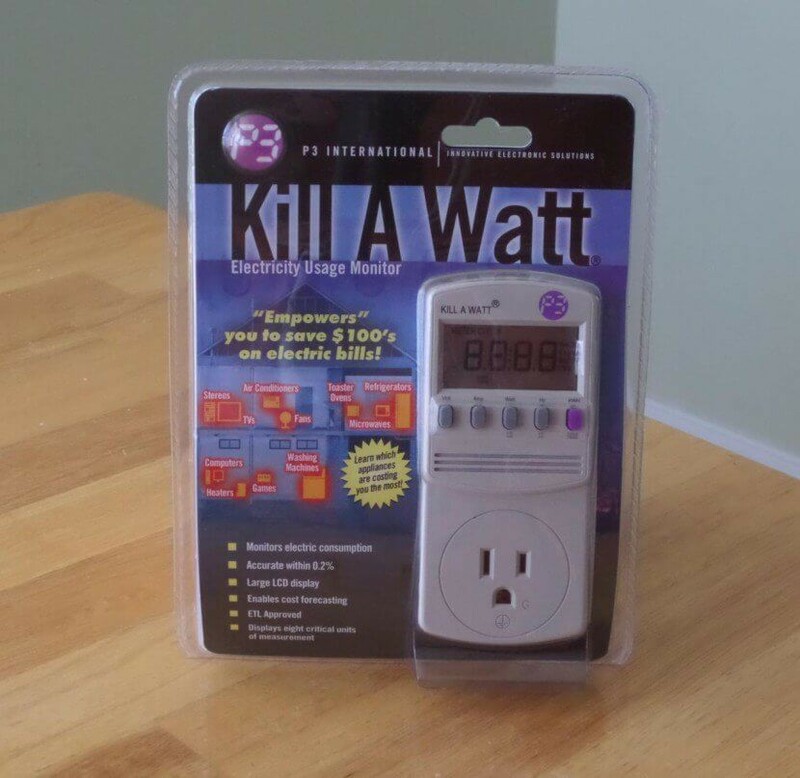 I measure all of the Wattage using the Kill-A-Watt from P3 International. Now that we have the stock performance, I overclocked it a bit, so let’s see what that looks like. 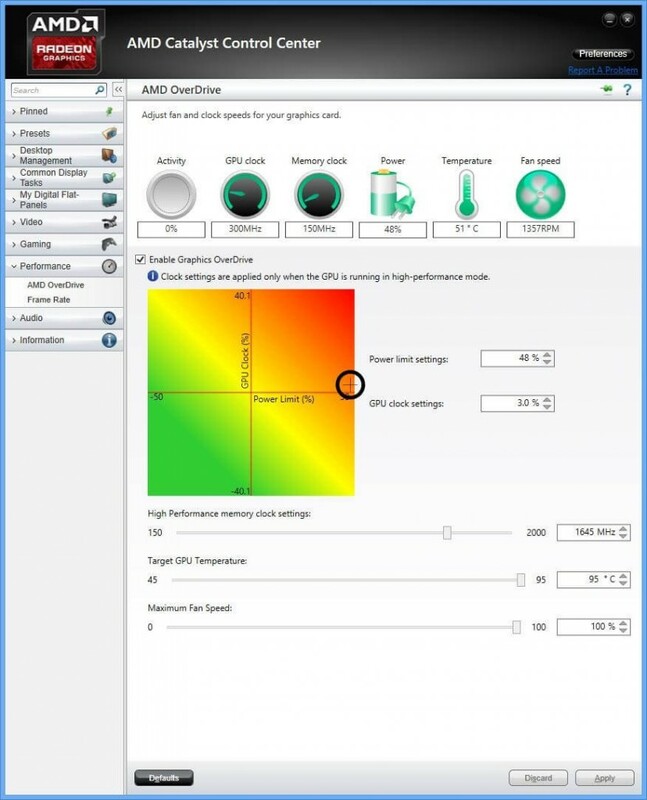 To start this, unlike NVIDIA, where you have to download a second piece of software to overclock the card, AMD provides a utility in their drivers to do this, called AMD OverDrive. 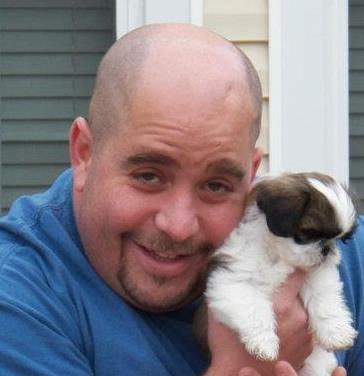 NVIDIA used to provide such a utility years ago but later stripped if from their drivers. 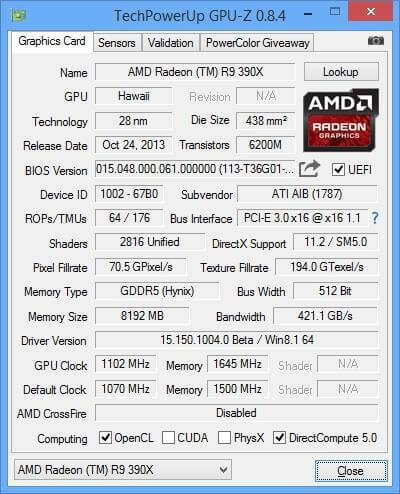 Below you can see what settings I used for the overclock. Not a huge bump by any means, but just to give you an idea of what you have to work with. Here you can see I took the stock memory speeds from 1500MHz to 1645MHz, a 9.22% difference and I took the GPU from a 1050MHz clock and raised it by 3% to 1102. A mere 2.10% difference from stock to OC, but again, this was just me bumping it up only slightly, I am sure you can get lots more. 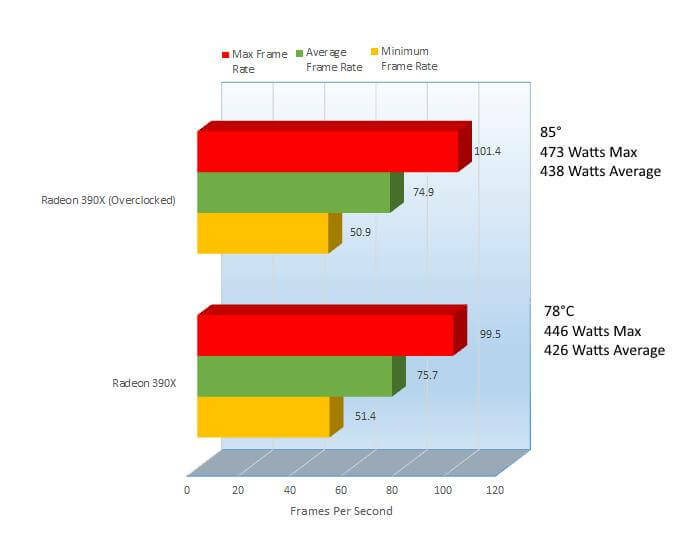 That bump though took it from a peak of 408Watts to 455, a big jump, so the card is power hungry but let me be the first to say, Visiontek did an amazing job at cooling it. 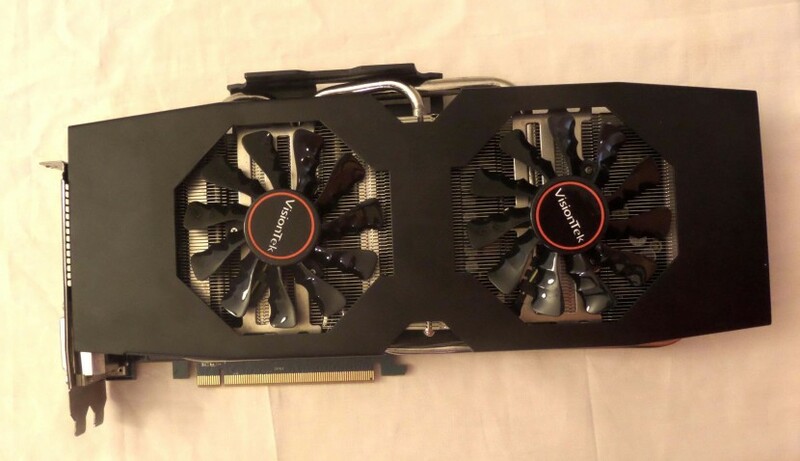 The dual fan design not only keeps the hot GPU at a decent level, but this card is only slightly louder than a whisper, if you spent a few seconds listening quietly for it, you could hear it, but you would need to focus your hearing to gather where that noise came from. That tiny bump took it from a depressing and underwhelming 22.07 FPS to a much nicer 49 FPS, a 75.78% increase. 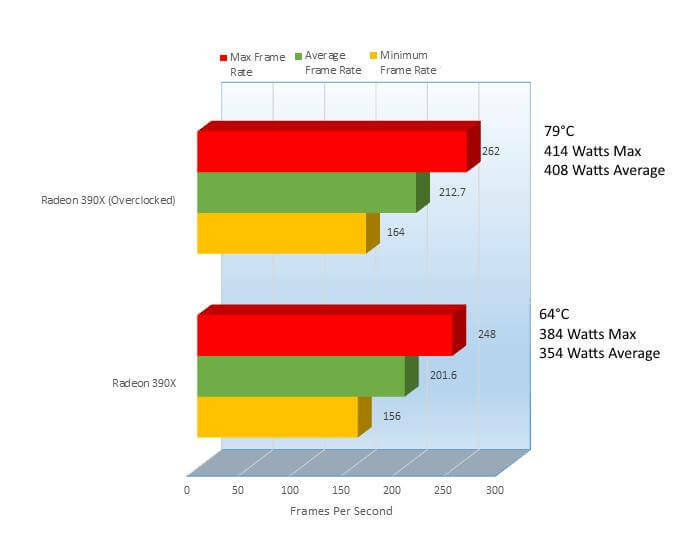 The core clocks don’t do it justice in this bench unfortunately. Wow, Metro Last Light seems to be a bit of an issue for this card, only providing a 2.70% improvement, though the wattage did not increase too much. There we go, Thief doesn’t like to be at 2nd, at stock speeds it provided a measly 32.7 FPS but that tiny bump gave it an 84.55% improvement, it went from kind of playable to amazingly playable. So let’s see what a little more average of a resolution will show us. Well, I can’t explain this one, while the overclock improved all FPS’s thus far; this one actually took a 1.06% hit, though every single FPS in this category is playable. Let’s see what 2560 x 1440 says about this. While not an impressive improvement, only 1.69%, 59.8 FPS is very playable. Come on Laura, I know you got the moves, but do you have the FPS? Well, making a comparison here is like comparing a Lamborghini to a Ferrari, both just mean you have done very well for yourself, have too much money and don’t have my address, because you haven’t shared any of it with me. 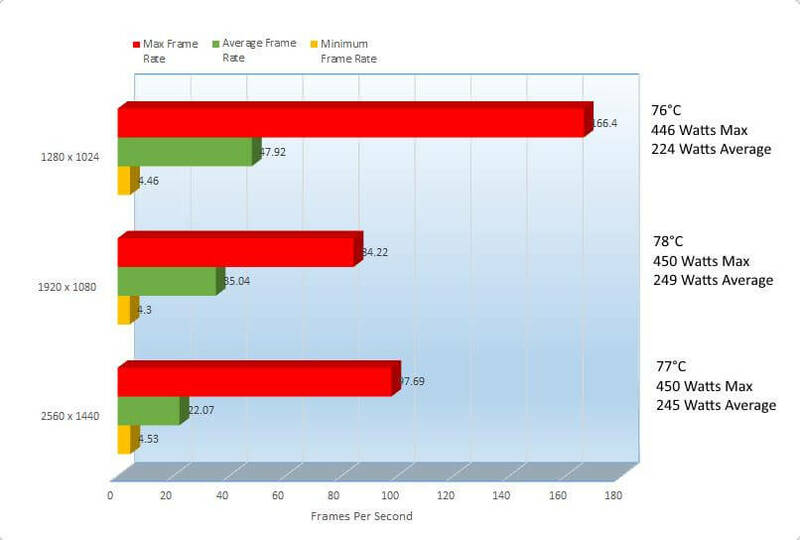 In other words, the scores here are ridiculous, from stock to OC you gain 5.36%, but coming from 201.6 FPS to 212.7 FPS, would you really be able to tell the difference? 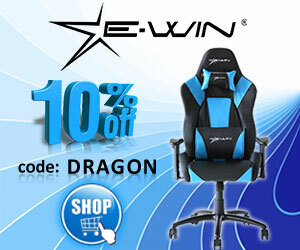 Well, let’s see what 1920 x 1080 thinks about this. 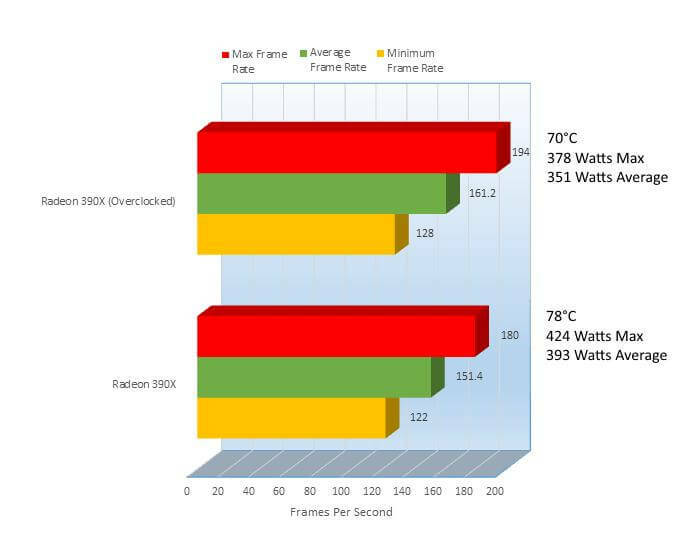 So with this score, it is making sense that resolutions about 1280 x 1024 have a much smaller effect with overclocking, which of course you need to OC more. There was a 6.57% improvement here but still, from 151.4 FPS to 161.2 FPS, is it really worth it to overclock? 2560 x 1440 might shed some light on this mystery. 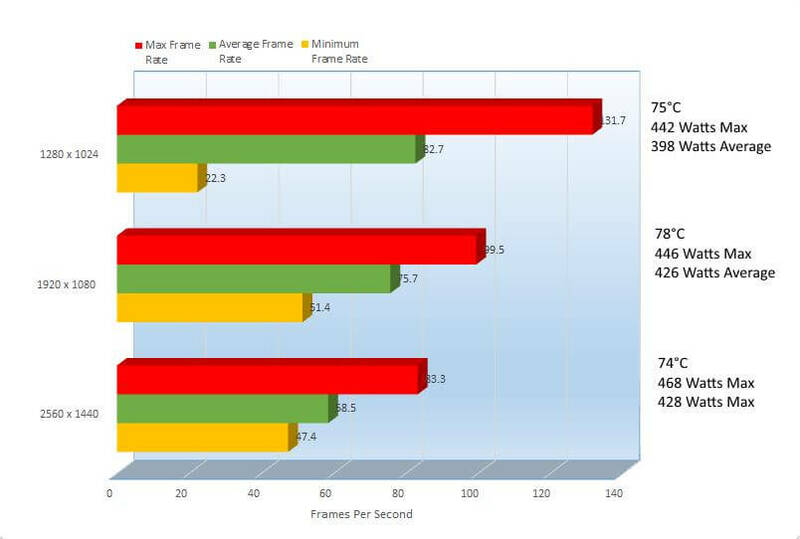 AMD and Visiontek are killing it with this game, the FPS here on stock speeds are amazingly fluid and while the OC only improves the score by 1.71% it’s still welcomed. The question still remains, is it worth it to overclock it from here? I wanted to benchmark Grand Theft Auto V, but I did not have enough time with the card and was working on an issue that resulted in very low benchmark scores, high for most cards but low for this card. The issue was one of the settings in this game, MSAA. With MSAA enabled the frame rate is incredibly low, but testing settings I found this and that actually it is a common issue. 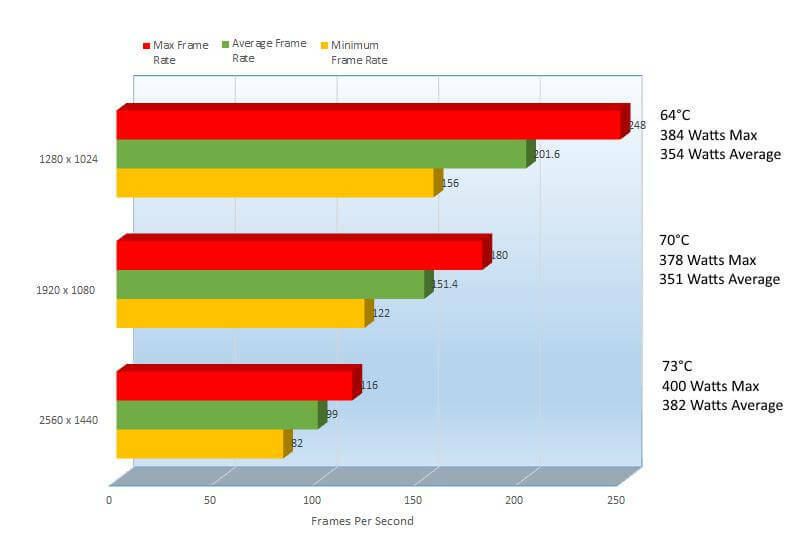 Disabling MSAA greatly improves the performance. While I was not able to benchmark it, I created this video to demonstrate how well the card runs at 2560 x 1440 with everything turned up, other than MSAA. With MSAA on, the game was taking about 4.3Gigs of video memory, and it is pretty nice that GTAV shows the amount of RAM the card has in the settings and how much each settings takes in realtime, you can see that in the video. You might not have noticed, but on the top right hand corner of the video you will notice an FPS counter, this is a Steam setting but I did try with the included Raptr included software with the AMD drivers, but the FPS counter would not display in this game. Since I am constantly adding and removing components in my computer, the cabling is not 100% but I still love my build. While AMD’s color is red, Visiontek has left the card black and it just looks beautiful in my system with the blue lighting accents, wouldn’t you agree? I am really impressed with this card, Metro did not fare as well but afterwards everything else performed amazingly. Drivers are currently an issue but the 15.15 is one of the first set of drivers since the 3xx series release so the performance will only improve and I expect great things. As games improve in visuals they will require more memory with the 8 Gigs of RAM this card provides Visiontek provides a future proof solution by offering great performance at a great price. Currently this beats out NVIDIA’s memory offering by 28% on similarly priced cards, offering some longevity and bests performance of the GTX970, though it is close but we can leave that for another review (Hint Hint). 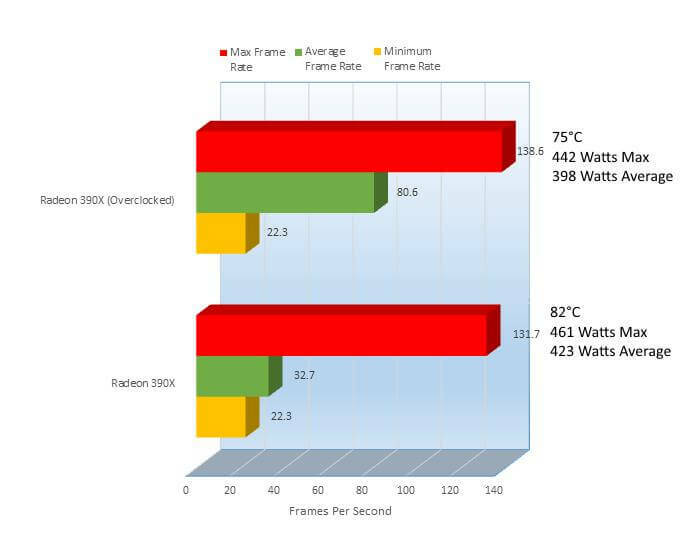 I do not personally have a GTX980 to review and provide benchmark results, but being that the GTX970 and 390X’s performance were so close, I can only assume the GTX980’s results would be higher, but that performance will cost you a bit more. 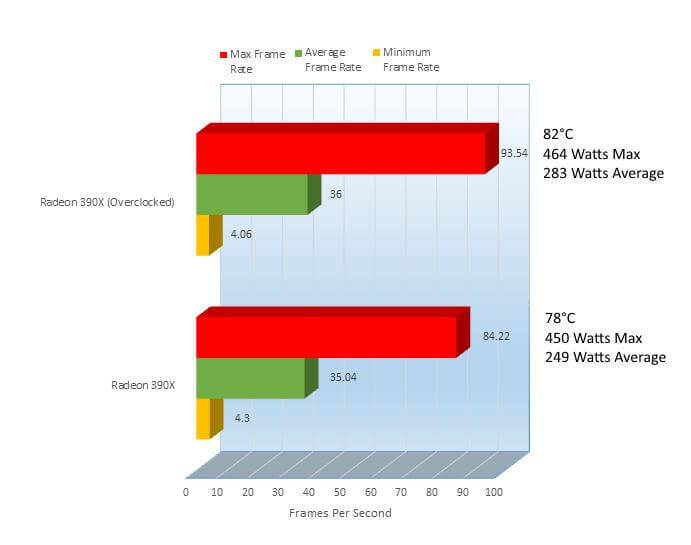 The 390X does draw more power and generate more heat than the GTX970 as well, though Visiontek did do a great job with its cooling solution. Of course more power will end up costing you a little more in the long run. 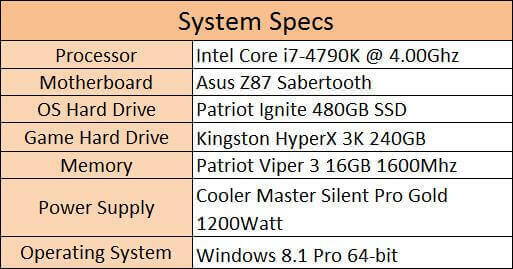 As I was wrapping up this review, the price of the 390X went up costing this card 1 star, price is a big thing for me. I do believe still that it is a great card, but price to performance makes it a bit iffy to me. What do you think, was 4 stars a good rating for this card, I am torn.